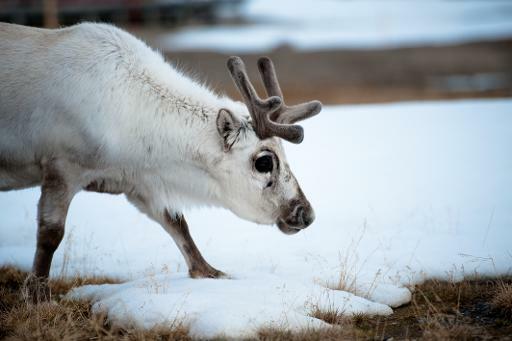 Washington (AFP) – Below-average snow cover, melting sea ice and declines in the population of reindeers and caribou are the new normal in the modern-day Arctic, said a scientific report out Thursday. While this year was not as extreme as 2012, the trend toward a warming planet means these changes are likely here to stay, said the Arctic Report Card 2013, issued by the National Oceanic and Atmospheric Administration. The peer-reviewed report, which has come out annually since 2006, was compiled by 147 authors from 14 countries. “The Arctic is warming rapidly, becoming greener and experiencing a variety of changes, affecting people, the physical environment, and marine and land ecosystems,” said David Kennedy, NOAA’s deputy under secretary for operations. “The Arctic caught a bit of a break in 2013 from the recent string of record-breaking warmth and ice melt of the last decade,” he told reporters at the American Geophysical Union annual meeting in San Francisco. Summer in much of the Arctic was “cooler than the previous six summers, when there had been pronounced retreat of sea ice,” said the findings. However, Fairbanks, Alaska, which lies just below the Arctic Circle, saw a record 36 days of warmth at 80 degrees Fahrenheit (27 Celsius) or higher. The amount of sea ice in September was the sixth lowest since observations began in 1979, continuing the trend of the past seven years. Sea surface temperatures were higher than the average from 1982 to 2006, said the report card. Melting occurred across 44 percent of Greenland’s ice sheet, down from the record 97 percent in 2012. The growing season for the greening tundra has extended by nine days per decade. Caribou and reindeer herds are “unusually low,” while muskox counts are higher due to targeted conservation efforts. “The Arctic Report Card presents strong evidence of widespread, sustained changes that are driving the Arctic environmental system into a new state,” said Martin Jeffries, principal editor of the 2013 Report Card.